Spring Creek Ranch is set atop a butte just outside the town of Jackson. 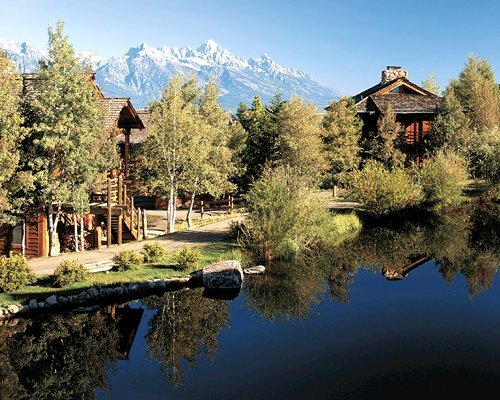 On-site summer activities include hiking, horseback riding, hiking, swimming, and tennis. In the winter, you can enjoy more than six miles of groomed cross-country ski trails on-site. Area activities include white water rafting and mountain climbing. There are two golf courses in the area, one designed by Robert Trent Jones, Jr. and the other by Arnold Palmer. Superb downhill skiing is only 10 miles away, and Yellowstone National Park, 50 miles away, makes a great side trip. 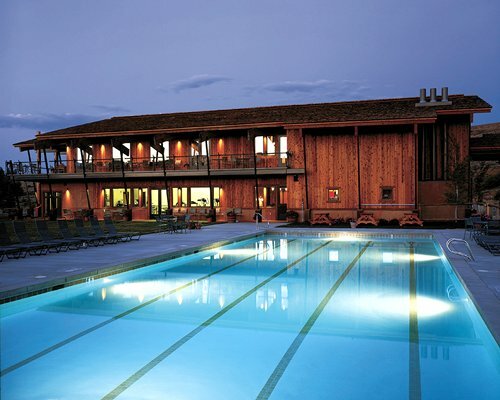 The nearest major airport is approximately 12 miles away in Jackson Hole. From the airport, travel south to the town of Jackson. In Jackson, take Route 189 west for three miles to Route 22. Continue on Route 22 for 1/2 mile to Spring Gulch Road and the resort. "Housekeeping fee for all RCI reservations: There may be a fee of 80.00 U.S. dollars for all units, weekly. Cash or Credit is accepted." Resort amenities fee is 20.00 U.S. dollars. Cash or Credit is accepted.